The United Nations International Day of Older Persons (UNIDOP) 2016 is just around the corner on October 1, 2016. This year, the theme is “Take A Stand Against Ageism”. 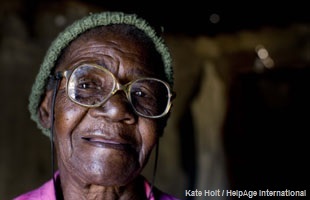 Ageism is a serious and ubiquitous concern for older people, from the negative ways older people are portrayed in the media, to employment limitations, to social environments that restrict the full participation of older people in societies. To raise awareness for this year’s theme, we are asking cities and communities that are part of the Global Network of Age-friendly Cities and Communities to tell us about concrete actions that you have taken to combat ageism. These will be featured on the main page and included in the age-friendly practice database, to highlight cities and communities that are using innovative strategies to tackle ageism. Relevant age-friendly practices could consist of programs, policies, or activities related to taking a stand against ageism, for example media campaigns to combat ageism, special events that challenge misconceptions about ageing, integrational activities that aim to enhance understanding about ageing and older age. We will choose 10 inspiring practices to feature on the Age-Friendly World website on a rotating basis. All practices that are submitted and meet the quality standards will be made available on the Age-friendly Practices database for the 2016 International Day of Older Persons. Please submit Practices here and send an email with the heading “UNIDOP 2016” to gnafcc@who.int. The deadline for this call is September 15, 2016.